The Bad Guys are back – and they’re ready to do more good deeds, whether you you want them to or not! Ten thousand chickens are trapped in a high-tech cage farm. Who could possibly save them? Well, how about a WOLF, a SHARK, a PIRANHA and a WHOPPING GREAT SNAKE also known as ‘the Chicken Swallower’? What could POSSIBLY go wrong? 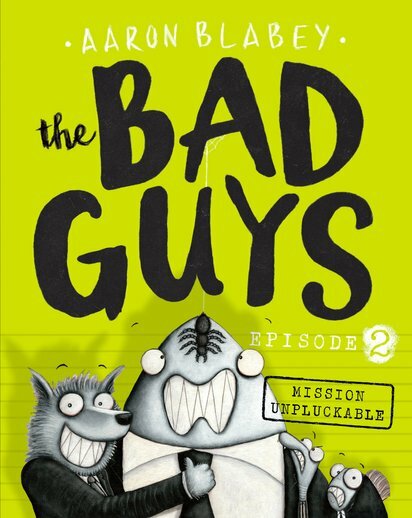 These not-so-bad guys might look pretty scary (though not very pretty), but they’re definitely good for a laugh! 530L Lexiles are the global standard in reading assessment. They are unique as they are able to measure a child and a book on the same scale – ensuring the right book gets to the right child at the right time.